In case you were worried Cloudberry Kingdom didn't contain enough infinity, the new launch trailer should put your fears to rest. Bonus: a princess with digestive issues! Cloudberry Kingdom has been released on consoles and PC, and developer Pwnee Studios isn't going to let us forget. The platformer with infinite levels now has an official launch trailer that gives you a brief overview of the game, spilling the beans on the main modes while showing a couple of levels that make Super Meat Boy look like a stroll in the park. The hook with Cloudberry Kingdom is its level generation. You're given a great deal of control over both your hero and some basic elements of the game, including things like gravity, friction, and whether or not you've got a jetpack strapped to your back. Set your parameters and the level creation AI gets to work, crafting a completely unique stage that's designed to give you a stiff challenge. If you start doing well, the level gets more difficult. Start doing poorly and it gets a bit easier. Co-op supports up to four local players across the game's three main modes. There's also the co-op-exclusive bungee mode which tethers everyone together and forces them to collaborate to clear a level. Nothing says "cooperation" like blaming the guy with sweaty hands for pulling your bungee group into the pit. 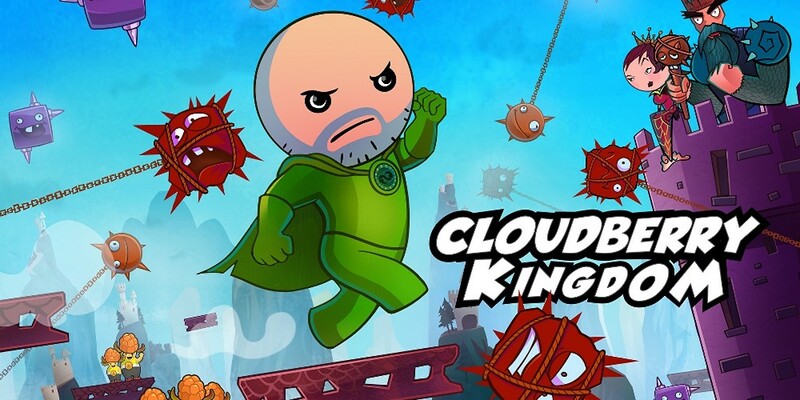 Cloudberry Kingdom is currently available for PS3, Xbox 360, PC (via Steam) and Wii U. Later this fall it will see a PS Vita, Mac and Linux release. Page created in 0.8188 seconds.